I have been thinking much about 9's lately so this word from Jane Hamon was exciting for me to read. Our pastor was taken ill on 9-9-18 (1+8=9) and he came out of the coma and began to speak yesterday 9-18-18! I know there is a message in this and I am excited to figure out exactly what it is!! The title alone is a good word for him!! "The Ninth Hour - From Survival to Revival!" God is always speaking to His people, but at special times of celebration and commemoration, prophets and prophetic people listen for His words that will focus us for this new season. As we enter the Roman calendar year 2019 and the Hebraic calendar year 5779, we are asking for clarity and understanding of God's purposes so that we can properly position ourselves to receive and cooperate with all Heaven desires to perform. God's present word for a season will often connect to previous words from previous seasons. Prophetic words are like road signs confirming His path and direction as we journey forward. One sign might indicate that we are to keep proceeding on the previous route and that these are some markers of what we should expect to see. Other words may indicate a turn or a change of direction, yet a continuation of the same journey. In the last several years God has spoken to me that we are in a time of Divine Reversals, both for individuals and for nations, we are in a Comeback season, and we are in the time of the Prophet's Reward, to name a few. These words connect us to God's heart, plan and reformation purposes in the earth. "We are coming into a time of angelic encounters in which we are not just comforted or inspired by the presence of angels, but rather are empowered with clarity and insight for the days ahead." This year as I prayed I heard the Lord say that this will be a time of birthing what we have been carrying and that He is taking His people and our land from survival to revival! We are in the 30th year of the birthing of the prophetic movement and it is time to see the prophet's reward (Matthew 10:40-41) which is breakthrough, miracles, abundance, increase and Heaven fighting for us. It's important to know that the definition of revival is not just a series of outpourings or crusade meetings but "revive" means, to return to life, consciousness, vigor, vitality, strength or a flourishing condition; a spiritual awakening; to quicken, restore and renew hope and confidence; to activate or set things into motion; to make operative or valid again; to quicken or renew the mind; to recover from financial depression; to rejuvenate, reactivate, resuscitate and revitalize. Wow! Revival is for everyone...the lost, the prodigal, the broken-hearted, the one struggling through doubt and unbelief, the one in desperate need of a miracle, the revolutionary and the reformers. We are coming out of survival and into revival! Let's take a look at what that will mean for us in the coming year! The first important aspect to this new season is prophetically found in the end number for both the Roman and Hebraic years, the number nine. The number nine denotes the finishing of a cycle as we finish this decade with a sense of looking forward and not back. As we look to Scripture about the significance of how this number is used I believe there are several interesting and powerful keys that will enable us to unlock a surge of expectation, revelation and transformation effect for our personal lives, the Church and for our nation as well. In Scripture we find that there are nine gifts of the Holy Spirit, nine fruits of the Holy Spirit and nine Beatitudes given by Christ to align us to His heart for one another and for the earth. Paul declared, "And my speech and my preaching were not with persuasive words of human wisdom, but in demonstration of the Spirit and of power, that your faith should not be in the wisdom of men but in the power of God" (1 Corinthians 2:4-5). This is a time when we must be continuously filled with the Holy Spirit to fully accomplish His divine purpose. We must increase our time of praying in the Spirit and activating the gifts of the Holy Spirit to experience His fullness. We must also allow the development of the fruit of the Holy Spirit with the corresponding attitudes which exemplify righteousness and set us free from confinement. Remember, gifts are given but fruit is grown. As a woman gives birth in the ninth month so will the Church begin to birth the breakthroughs we have been carrying releasing a time of fruitfulness, blessing, joy, fulfillment and harvest. The ninth letter of the Hebraic aleph bet is the letter Tet. Scholars say it is associated with the picture of a pregnant woman (though honestly I can't always see the similarity)! A pregnant woman is said to be "expecting." I hear the challenge of the Holy Spirit as He asks us, "What are you expecting? "We must move past disappointments and fears regarding past seasons of barrenness or spiritual still births and stir up a revival of our expectations before God in order to see our faith produce the breakthrough we have been carrying. As a woman completes her ninth month her discomfort increases until the delivery. Sometimes she even feels miserable with emotions, sleepless nights and pressure...but there is a joy set before her. That joy will give you grace to endure the times of challenge knowing that when it becomes time to push... your life will change forever! In Isaiah 37:3 Hezekiah declares "...for the children are come to birth and there is no strength to bring forth." This prophecy was given to King Hezekiah, a righteous king who was a reformer, turning Judah back to God and restoring temple worship. He was faithful to the Lord, yet his city (Jerusalem) had become besieged by the cruel king of Assyria, Sennacherib, and was faced with certain destruction if God didn't intervene. "God's power will cause an inactive, incapacitated, weak and limited Church to burst out with a renewed hope and confidence which activates "divine reversals" in every circumstance." I had a dream where a spiritual assignment was sent against a godly leader. The enemy's name was Rabshakeh and he was coming to spread poison on the back of the leader and then take a rod and beat their back, driving the poison in and breaking the leader. (The back represents the place of a man's strength. Isaiah 22 talks about the burden in the valley of the vision. The back was where Jesus was beaten so that we can receive our healing. But the enemy wanted to beat Him down, afflict Him with poison, rob healing and destroy Him.) But before Rabshakeh could complete his mission of destruction, we alerted the authorities who captured him. They then led us out and put rods in our hands to beat his back! What does this dream have to do with the story of the besiegement of Jerusalem? It turns out that Rabshakeh was not the name of a reggae band but rather was the emissary of Sennacherib, his mouthpiece sent to demoralize Hezekiah and his armies, trying to get them to give up, lay down their weapons and surrender the city. He tried to convince Hezekiah and his leaders that God had forsaken them and would not save them. His name means "chief prince" and may well be a demonic assignment against true reformers and leaders today. Rabshakeh filled the air with accusations against who God is, against who the leaders are and about the impossibility of their situation. Understand he was seeking to spread poison and get in their heads so that they would be beaten down and submit to giving up and being overthrown. Don't let the enemy get in your head! He will convince you that all your works of righteousness and reformation have been for nothing and that in the end God will abandon you and not hear your prayers. Is it possible to be pregnant with reformation and not bring it forth? Is it possible to be pregnant with your miracle answer and it be aborted or still born because you give up? Rather than let Rabshakeh and his poisonous words rob them of their land, Hezekiah set himself to seek the Lord and to pray. He encouraged his people with these faith filled words in the midst of desperate times: "'Be strong and courageous; do not be afraid nor dismayed before the king of Assyria, nor for all the multitude that is with him; for there be more with us than with him. With him is an arm of flesh; but with us is the LORD our God, to help us and to fight our battles.' And the people rested themselves upon the words of Hezekiah king of Judah" (2 Chronicles 32:7-8). He also sent for Isaiah the prophet to get a word from God for them. Isaiah came and told Hezekiah the Lord had heard his prayers. He would defend the city! He then released a prophetic word of breakthrough that sounded impossible. That night God sent an angel down who wiped out 185,000 Assyrians and Rabshakeh and Sennacherib both returned to their own country only to be killed by their own. God fought for Judah! Prayer and prophecy shifted the battle and brought heavenly intervention! The prophet's reward was manifested as God mobilized the angel armies to overthrow the enemy. It was about this situation that Isaiah prophesied in Isaiah 54:17, "'No weapon formed against you shall prosper, and every tongue which rises against you in judgment you shall condemn. This is the heritage of the servants of the Lord, and their righteousness is from Me,' says the Lord!" If you recall at the end of my dream the rod of punishment was used on the back of the enemy. Isaiah also prophesied about this, which is part of God's battle strategy for us today to break out of the survival of besiegement into revival for a new day. The voice of the Lord will shatter the Assyrian (your enemy). With His scepter He will strike him down. Every stroke the Lord lays on the back of the enemy with His punishing rod will be to the music of tambourines and harps as He fights him in battle with the blows of His arm (Isaiah 30:31)! The voice of the Lord and our praises are a weapon! "Revival is for everyone...the lost, the prodigal, the broken-hearted, the one struggling through doubt and unbelief, the one in desperate need of a miracle, the revolutionary and the reformers." If you are in survival mode...repent, pray and prophesy! If you feel besieged...repent, pray and prophesy! If you need a miracle that looks impossible...repent, pray and prophesy! If you are carrying reformation and revival...release the voice of God and it will shatter your enemy so you can bring it to birth! God will fight for you! In Scripture, the ninth hour of the Jewish day was 3:00 in the afternoon (considered the 9th hour since daybreak). It was the time of prayer and evening sacrifice and was evidenced as a time when earthly prayers resulted in a heavenly response. 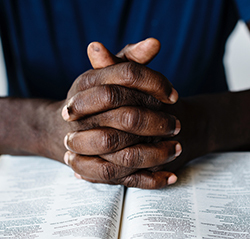 This year, God is bringing the Church out of survival prayers into revival prayers. There is a growing excitement about what God is doing in the earth that will cause our prayers to be less self-focused (survival focused) and more Kingdom-focused. We will recognize that prayer is the midwife that births miracles! We will have such miracles breaking out to meet personal needs that we can press on, in faith, to focus on praying God's reformation purposes to be evidenced in culture and national transformation. In 1 Kings 18:36-39 Elijah was on Mount Carmel in a showdown with the false prophets of Baal. While they were carrying on, cutting themselves and chanting empty petitions to their false gods, Elijah prepared an altar with a sacrifice on it. It was a time of drought, yet Elijah poured precious water over his sacrifice, indicating his complete dependence on Heaven to answer his prayers. In the ninth hour, at the time of evening sacrifice, God answered from Heaven and sent fire to consume the sacrifice and lick up the water. The people were astounded by this supernatural display and immediately fell on their faces and turned their hearts back to God. This sign from Heaven, in the ninth hour, released Elijah to slay the false prophets and broke the curse of drought off the land. They went from the survival of drought to a revival of faith towards God which activated the prophetic release from Elijah declaring in 1 Kings 18:41, "...there is the sound of abundance of rain!" In this season, as God's people pray, God will send a response of Holy Spirit fire that will expose and oppose the "false prophets" of today...false religions and philosophies, false prognosticators in media and false reformation movements in culture that misconstrue justice. It's time to see spiritual drought broken and revival break out! In Daniel chapter 9, Daniel too prayed revival prayers interceding for his nation, repenting on behalf of their sin and separation from God, realizing that it was time for their 70 years of captivity in Babylon to come to an end. It was time for repentance, restoration and reformation in the land. At the ninth hour, the angel Gabriel appeared and began to give Daniel understanding and instruction. We are coming into a time of angelic encounters in which we are not just comforted or inspired by the presence of angels, but rather are empowered with clarity and insight for the days ahead. The angel's instruction enabled Daniel to lead God's people in a national shift – out of the survival of captivity and into a revival as God's people and with a vision to repossess their promised inheritance. In the New Testament we see several powerful displays of Heaven being moved by the prayers of men in the ninth hour. In Acts 3:1 Peter and John were at the Gate Beautiful (meaning the appointed place at a favorable, appointed time) at the ninth hour of prayer when they encountered a lame man begging alms. He was living in a state of survival...begging just to survive. He lived with no victory, no breakthrough, no ability to move forward, no joy, no vision for his future that was different from the daily grind. Rather than giving him earthly riches to meet a temporal need, which would have left him in a survival state, Peter and John met his need that money couldn't buy and released healing to him. 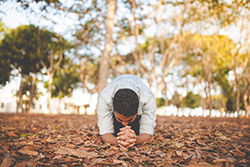 His survival status as a lame man was immediately shifted to a man who carried revival as he leapt to his feet and praised God, demonstrating God's reality to all who knew him. His vision for life was revived! His joy was revived! His faith in God was revived! I believe this is a picture of not just miracles for individuals, but a picture of God's revival power, rejuvenating power, and restoring power over every area in which the Church has been lame, dysfunctional or limited in hope or vision for the future. God's power will cause an inactive, incapacitated, weak and limited Church to burst out with a renewed hope and confidence which activates "divine reversals" in every circumstance. In Acts 10 we see the story of the Roman centurion, Cornelius, who is crying out to the Lord for salvation. He was a devout man who feared God and gave generously to the poor. Again, in the ninth hour, (the Jewish hour of prayer even though he was a Gentile) an angel visits him and says that his prayers and his giving have opened a door in the spirit realm that got God's attention. The angel then instructs him to send for Peter who will explain the path to salvation. The result is the Gospel of the Kingdom is first preached to a Gentile and his whole household is saved, filled with the Holy Spirit and baptized in water. There was a supernatural grace to not just save Cornelius, but his entire household. We need to renew our prayers for prodigals and pre-believing family members to come to Christ. However, we must also understand that this whole story speaks of a new era beginning of nations turning to the Lord. This encounter opened up the Gentile world to the Gospel. Be prepared for the Lord to begin to visit unbelievers in dreams, visions and even angelic encounters which will break down the walls which have, thus far, kept them out of the Kingdom. Get ready for harvest! Prepare for revival! "Remember, gifts are given but fruit is grown." One of the most powerful ninth hour stories, when the intercession of men caused Heaven to connect with Earth, is the day Jesus Christ was crucified. You see, He was hung on the Cross in the third hour (about 9:00 am) but at the ninth hour He cried out, "My God, My God, why have You forsaken Me?" He then declared, "It is finished"and died. The declaration, "It is finished" is exactly what the priest would declare at the time of evening sacrifice after shedding the blood of the sacrificial lamb for the sins of the people. Jesus became our intercessor and the perfect sacrifice for the sin of all humanity. It was in that same hour that the veil of the temple was torn from top to bottom, the ground shook and the dead were resurrected and appeared in the cities. All this happened in the ninth hour! God is declaring that the veil of separation (shame, fear, inadequacy, powerlessness, etc.) that many have felt kept them out of His holy presence is coming down. The heavens are being ripped open and a fresh access is being given to the goodness, power, revelation and wisdom from His throne room of grace. Everything that can be shaken will be shaken. But the shaking will result in revival, resurrection life and an awakening of dry bones that will cause the world to declare, "Truly Jesus is the Son of God!"